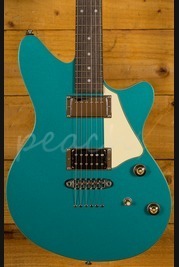 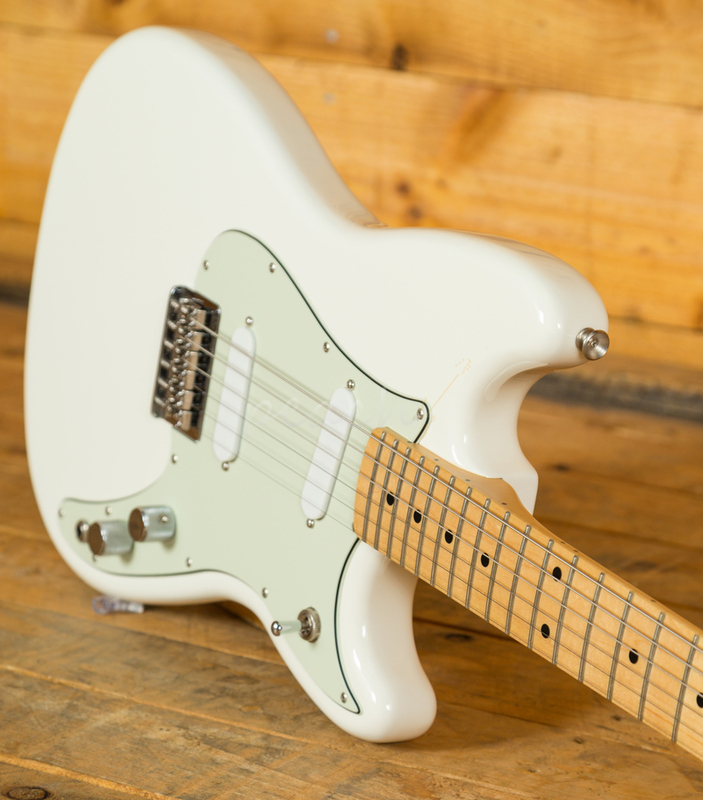 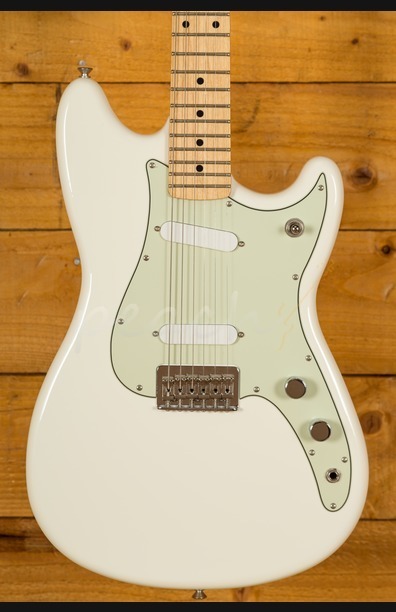 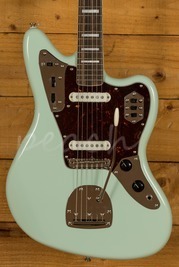 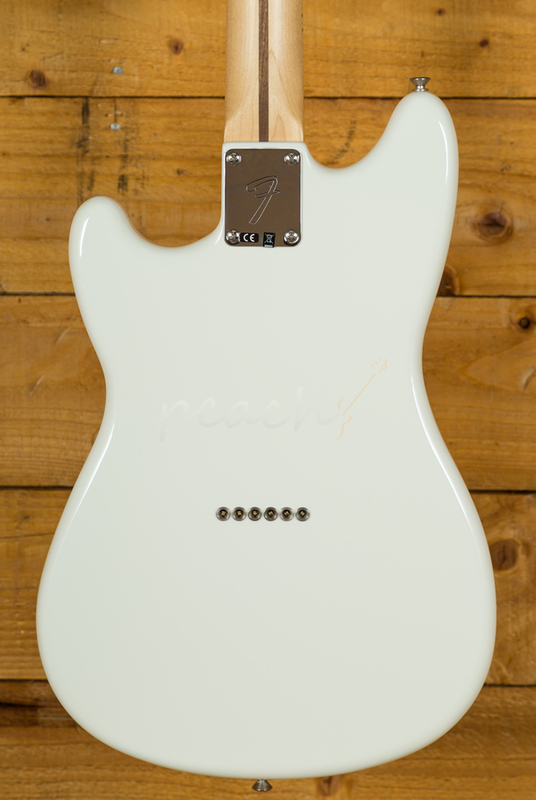 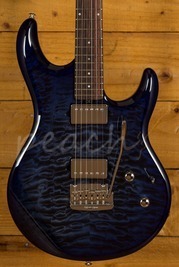 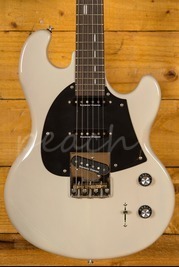 The Duo Sonic is a guitar that offers classic Fender feel with a slightly different vibe. 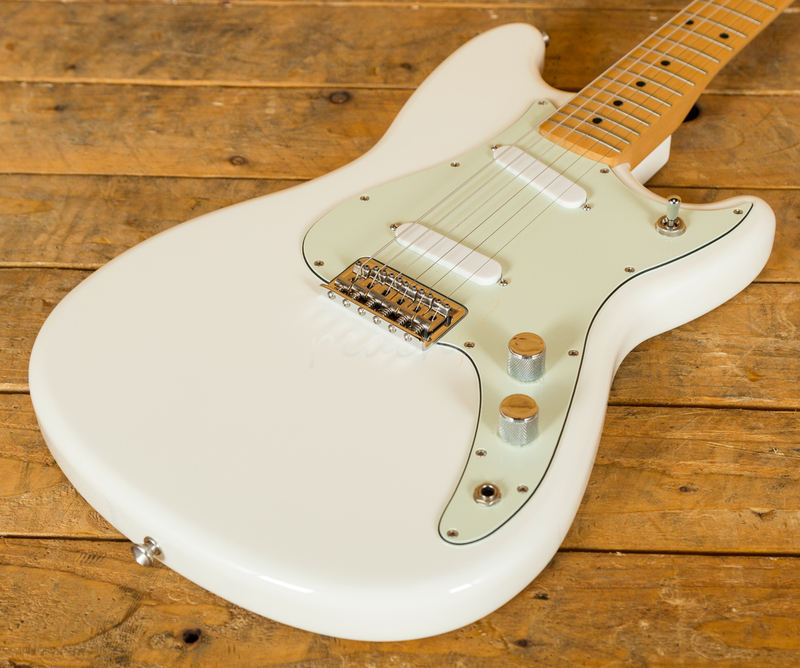 The two Duo Sonic single coil pickups work together to produce a really tasty vintage Fender tone with just added bit of gutsiness! 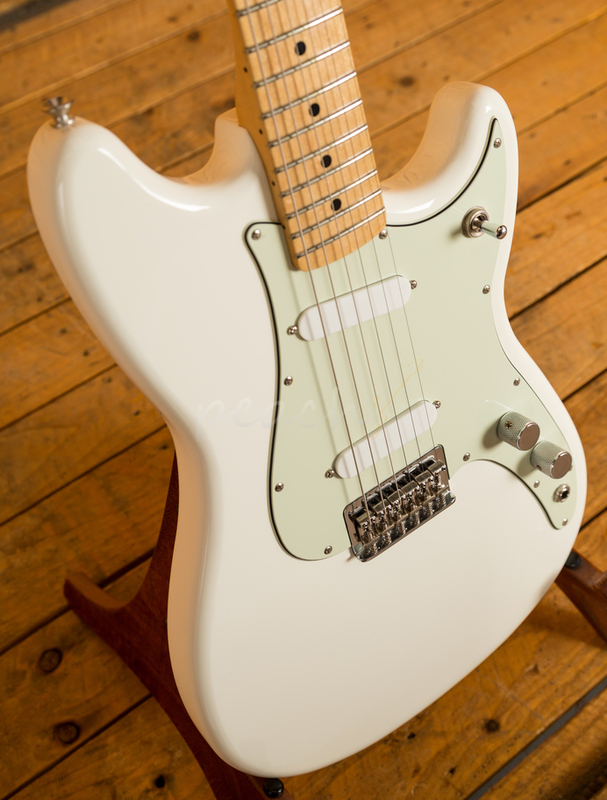 Suitable for so many different styles and capable of tasty cleans as well as hard rock, the Duo Sonic is the ideal guitar for anyone looking for a guitar with proper classic feel but which offers just that little bit something different. 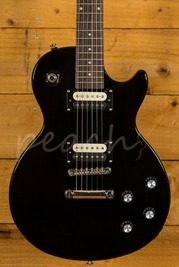 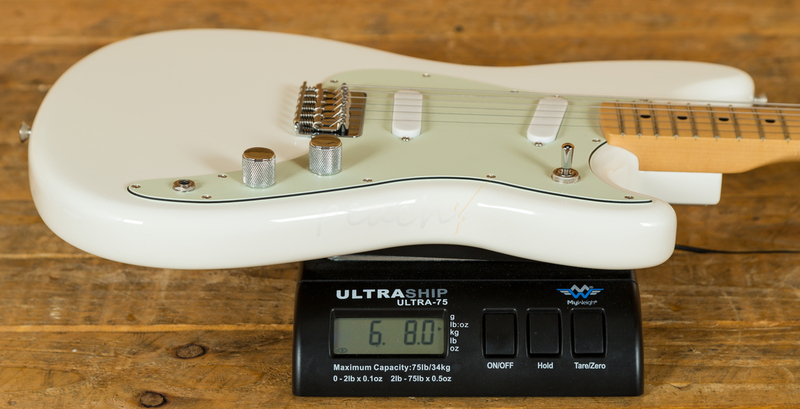 The 24" scale length gives a lovely bit of warmth to the tone whilst remaining really easy to play. 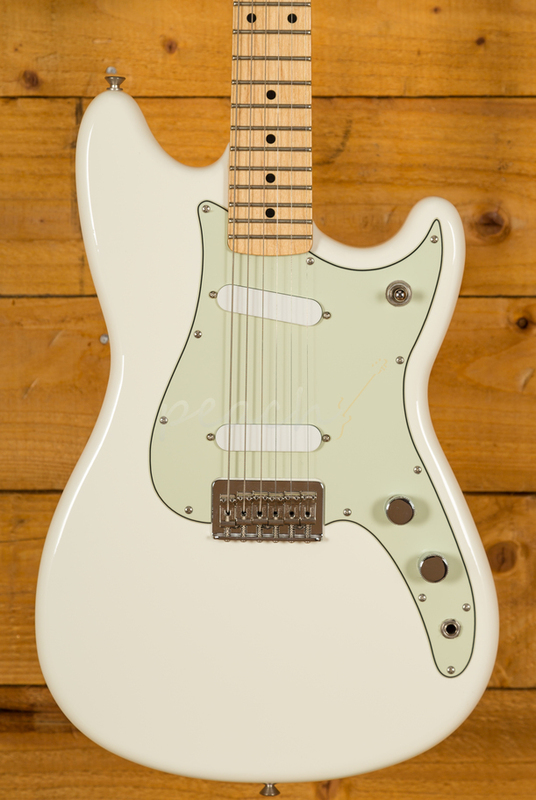 Featuring a 9.5" radius maple fingerboard with 22 medium jumbo frets and C shape neck profile, this guitar is super comfortable!